Observation - Jay - UK and Ireland. Description: Some rather indistinct photographs of one of a pair of jays that were calling to each other before flying off. 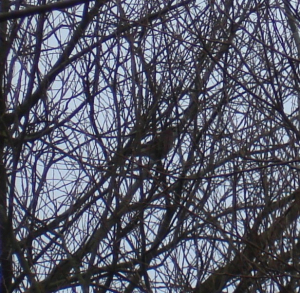 Some rather indistinct photographs of one of a pair of jays that were calling to each other before flying off.